1. Preheat oven to 400. Line a 12-cup muffin pan with paper lines or spray muffin cups with non-stick cooking spray, if not using liners (You could also use a 9″ round pan). Set aside. 2. In a large bowl, combine cornmeal and milk. Allow cornmeal to soak for 10-15 minutes. Mix in egg and softened butter. 3. In a small mixing bowl, combine flour, sugars, salt, and baking powder. Mix well. Add dry ingredients into large mixing bowl that contains wet ingredients. Stir until dry ingredients are well incorporated. 4. 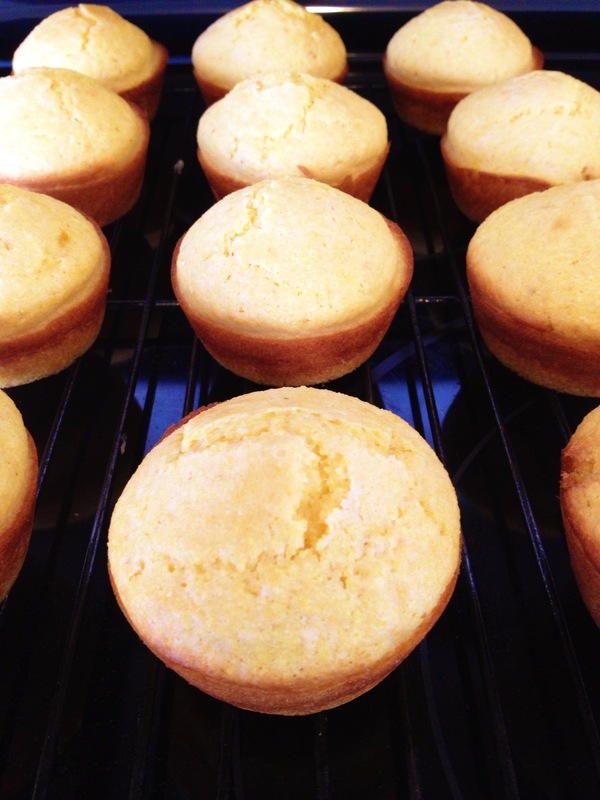 Divide batter evenly into prepared 12-cup muffin pan. Bake for 13-15 minutes, or until golden brown and a tooth pick inserted into center comes out clean. 5. Allow to cool on cooling rack for about 5 minutes. 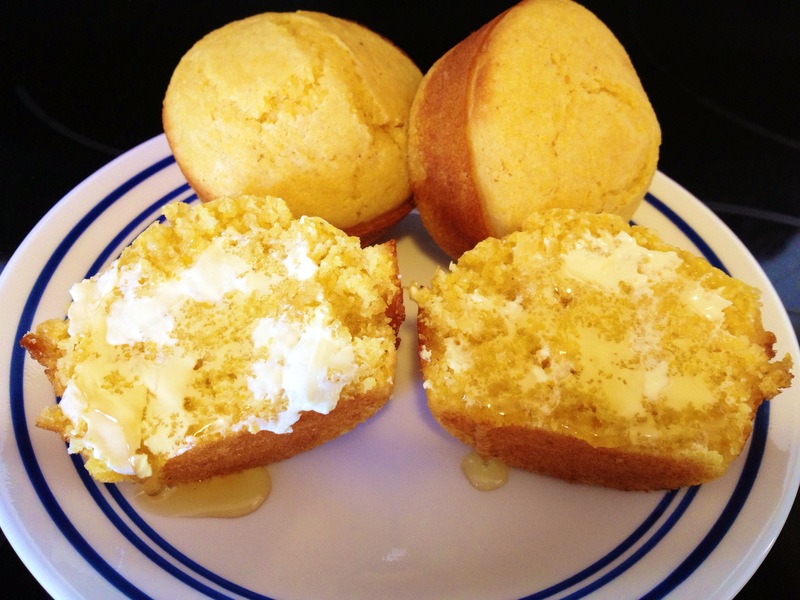 Serve spread with butter and drizzled with honey, if desired. I am in no way affiliated with Weight Watchers.